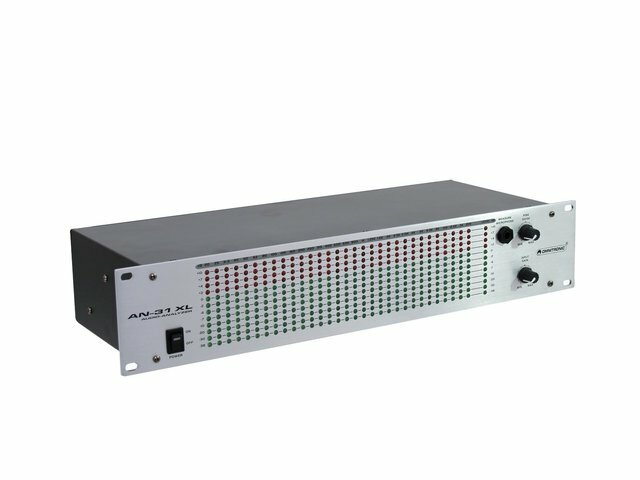 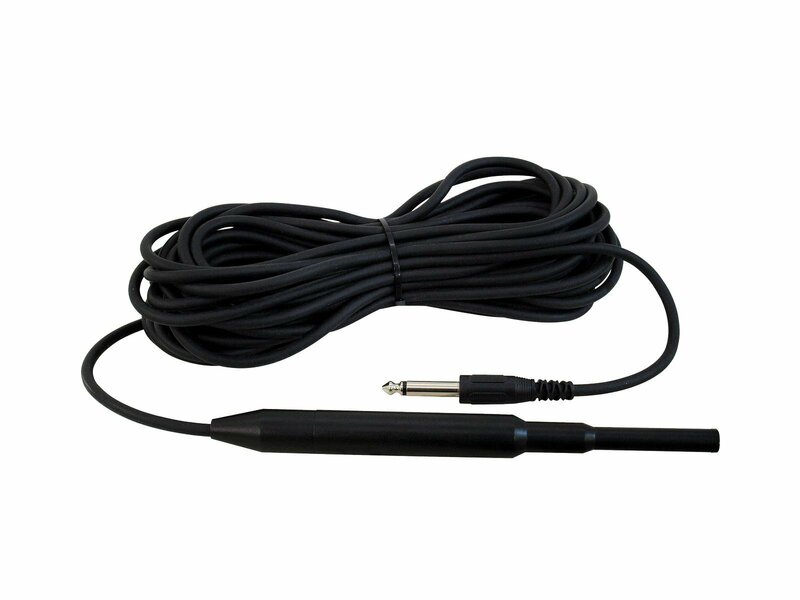 The AN-31 XL serves for realtime analysis of acoustic signals received through either the supplied measurement microphone with cardioid characteristics or any other microphone or line in connection. 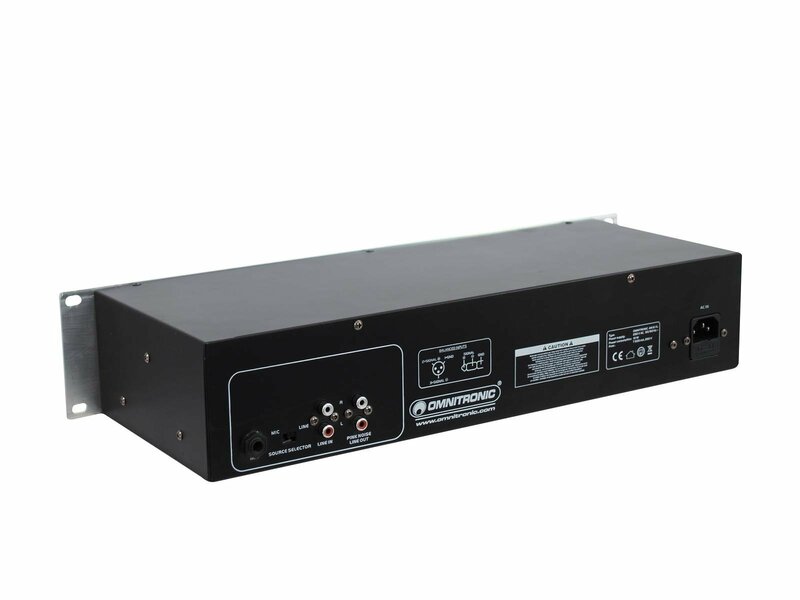 The analyzer divides the frequency spectrum from 20 Hz to 20 kHz into 31 bands at 1/3 octave intervals and displays the decibel level of each band of sound via LEDs. 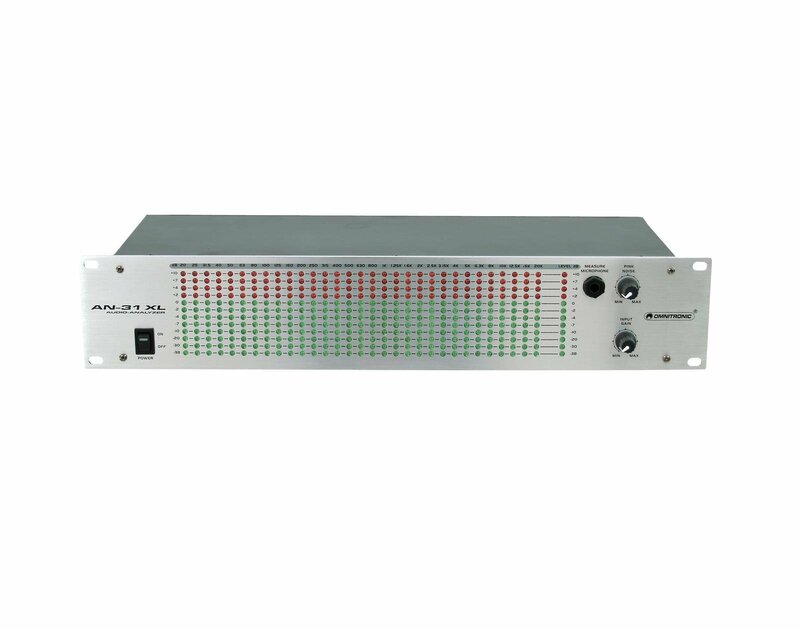 By utilizing the integrated noise generator, an adjustable test signal (pink noise) can be created that can be used e.g. 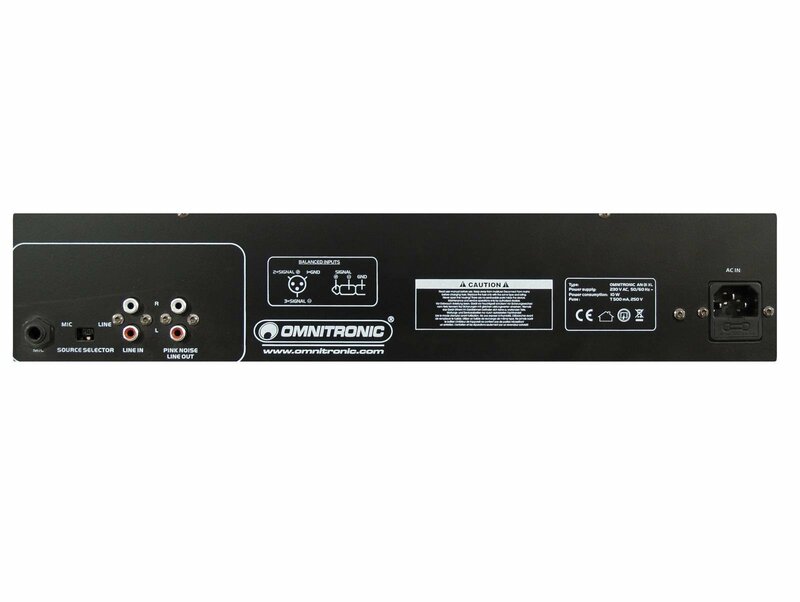 in connection with an equalizer to match a PA system to room acoustics.